There are 19 Assisted Living Facilities in the Lincoln area, with 8 in Lincoln and 11 nearby. The average cost of assisted living in Lincoln is $4,012 per month. This is higher than the national median of $3,346. Cheaper nearby regions include Loomis with an average starting cost of $2,500. To help you with your search, browse the 95 reviews below for assisted living facilities in Lincoln. On average, consumers rate assisted living in Lincoln 4.1 out of 5 stars. Better rated regions include Rocklin with an average rating of 4.5 out of 5 stars. Caring.com has helped thousands of families find high-quality senior care. To speak with one of our Family Advisors about assisted living options and costs in Lincoln, call (855) 863-8283. Just a few miles out of Sacramento, Lincoln residents enjoy less traffic congestion while still living within easy reach of the metro area. Seniors looking into assisted living facilities in Lincoln have eight communities to choose from and an additional 51 nearby. 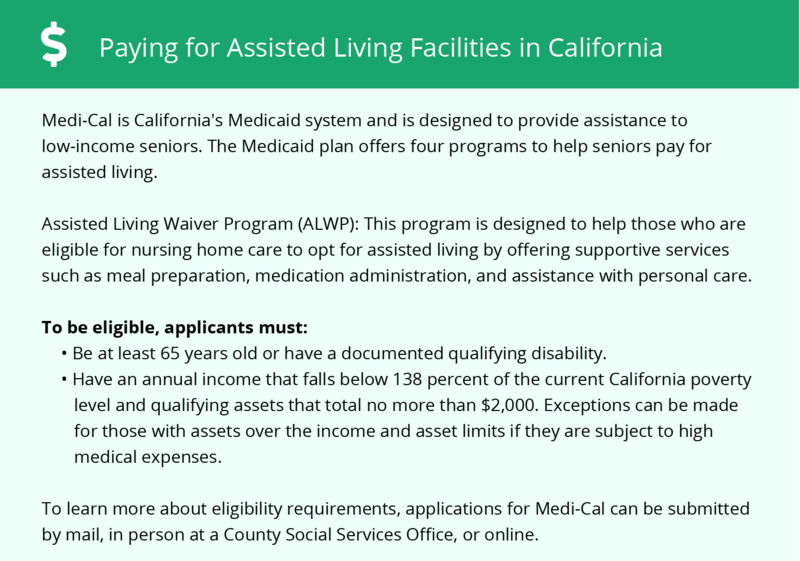 California uses the terminology Residential Care Facilities for the Elderly in place of assisted living, and each facility in the state receives licenses through the California Department of Social Services, Community Care Licensing Division. Lincoln, which is situated close to Sacramento, suffers some of the worse air quality in the nation. It is rated number 5 on the top 20 list of cities with the worse ozone pollution by the American Lung Association (ALA). Seniors with respiratory issues may find it difficult to participate in outdoor activities at certain times. Locals in Lincoln face little property crime and they have a violent crime rate lower than 80 percent of other Californian communities. Seniors in this town have a 1 in 1,622 chance of being a victim of violent crime compared to a 1 in 225 in other parts of the state. The cost of living in Lincoln is higher in all expense areas when compared to the national average. Seniors should consider the averaged 10 percent higher groceries, 8 percent increased health care and 12 percent increased transportation fare and fees that comes with living here. California is known for not being tax-friendly and it does not provide seniors with a tax-exemption on retirement income other than Social Security. Lincoln residents have a combined 7.25 percent sales tax compared to the 6 percent national average and 8.54 percent state average. The mild winters of Lincoln are very appealing to seniors and residents of all ages. Temperatures rarely go below 40 and snowfall is almost non-existent. Lincoln has an array of community resources for seniors, including the Lincoln Senior Activity Club, an organization designed to offer recreation and Life Long Learning Lectures to individuals aged 55 and older. Assisted Living costs in Lincoln start around $4,012 per month on average, while the nationwide average cost of assisted living is $4,000 per month, according to the latest figures from Genworth’s Cost of Care Survey. It’s important to note that assisted living rates in Lincoln and the surrounding suburbs can vary widely based on factors such as location, the level of care needed, apartment size and the types of amenities offered at each community. 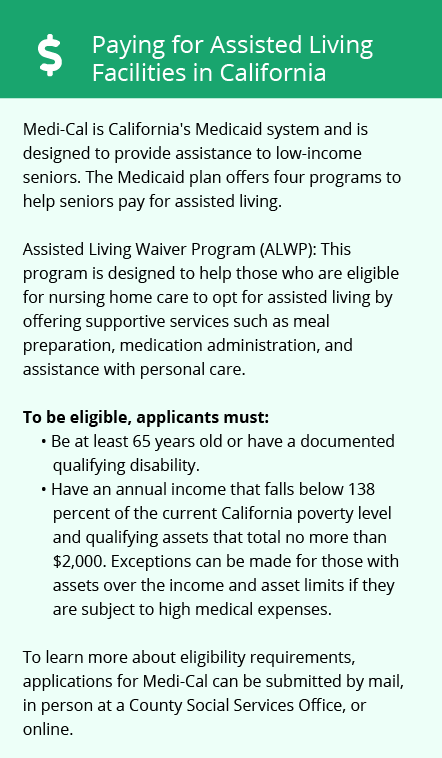 Through California's Medicaid (Med-Cal), an Assisted Living Waiver (ALW) is provided to eligible low-income seniors. Supplemental Security Income (SSI) and the optional state supplement (OSS) are also available to help pay for residents' personal needs. Lincoln and the surrounding area are home to numerous government agencies and non-profit organizations offering help for seniors searching for or currently residing in an assisted living community. These organizations can also provide assistance in a number of other eldercare services such as geriatric care management, elder law advice, estate planning, finding home care and health and wellness programs. To see a list of free assisted living resources in Lincoln, please visit our Assisted Living in California page. Lincoln-area assisted living communities must adhere to the comprehensive set of state laws and regulations that all assisted living communities in California are required to follow. Visit our Assisted Living in California page for more information about these laws.